9781400138838 | Unabridged edition (Tantor Media Inc, December 1, 2008), cover price $45.99 | About this edition: Orphaned at an early age and taken in by her young aunt Dete, Heidi is soon in the way. 9781400138937 | Unabridged edition (Tantor Media Inc, December 1, 2008), cover price $35.99 | About this edition: "Life is either a daring adventure, or nothing. 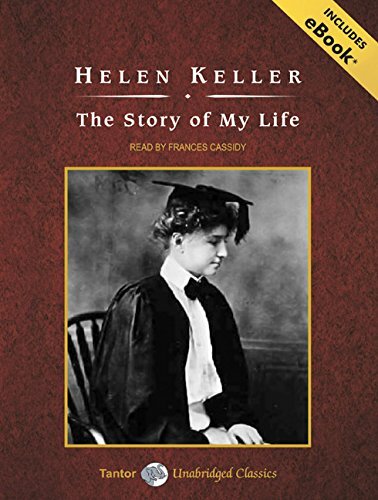 9781400158935 | Mp3 una edition (Tantor Media Inc, January 5, 2009), cover price $17.99 | About this edition: "Life is either a daring adventure, or nothing. 9781400108930 | Unabridged edition (Tantor Media Inc, December 1, 2008), cover price $17.99 | About this edition: "Life is either a daring adventure, or nothing. 9781400108831 | Unabridged edition (Tantor Media Inc, December 1, 2008), cover price $22.99 | About this edition: Orphaned at an early age and taken in by her young aunt Dete, Heidi is soon in the way. 9781400158836 | Mp3 una edition (Tantor Media Inc, December 1, 2008), cover price $19.99 | About this edition: Orphaned at an early age and taken in by her young aunt Dete, Heidi is soon in the way.